Made up of over 17,000 islands, Indonesia is the fourth biggest country in the world when it comes to population. Home to the world’s most beautiful nature, bustling cities and warm people, it’s time for you to experience Wonderful Indonesia through your own eyes. Keep reading for the cheapest flight deals to Bali and cheapest flight deals to Jakarta. 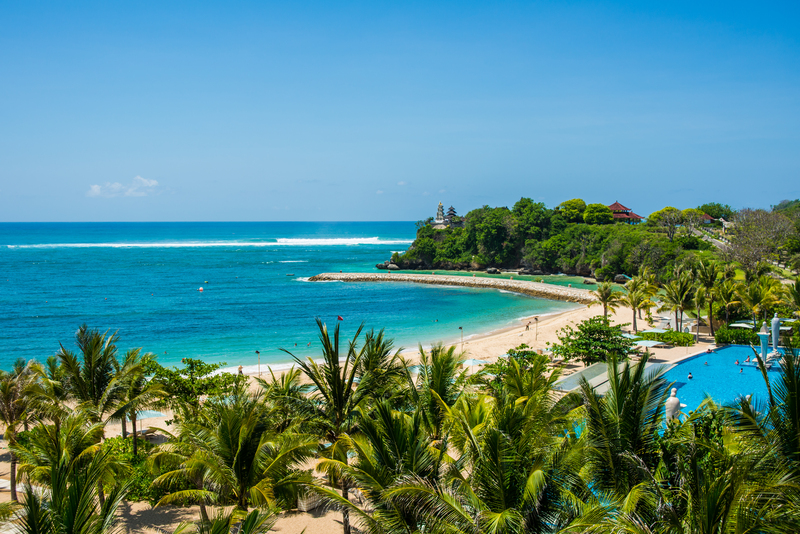 If you’re looking for a holiday destination that will sweep you off your feet with its lush greenery, wide beaches and relaxing resorts, Bali will be at the top your 2019 travel wishlist! There are many reasons to visit Bali- couples can seek out romantic beaches and waterfalls (perfect for the honeymooners), while families can enjoy water sports on the beach, eating local cuisine by the rice terraces, or exploring the unique shopping scene in the local markets. Bali has tropical climates throughout the year, but do note that you may expect some rainfall during its wet season (October-May). Some of our favourite things to do in Bali include watching the sunset at Tanah Lot Temple, seeing wildlife up close at the Bali Safari and Marine Park, or taking a short boat ride to the nearby islands of Nusa Lembongan and Nusa Penida. What’s unique about the island is that unlike the rest of Indonesia, over 80% of Bali’s population is Hindu. Whether you are looking for a fun-filled adventure or some down time relaxing by the beach, you will get to immerse yourself in the beautiful blend of Hindu & Indonesian culture that Bali has to offer. As the capital city of Indonesia, Jakarta is a melting pot of different ethnicities which makes the culture extremely unique, evident in the diverse food and places to visit. For shopping lovers, enjoy retail therapy at its best in over a hundred modern shopping malls in the city, housing local and international brands. After that, sip on a cocktail at one of Jakarta’s many rooftop bars while you enjoy the mesmerizing urban skyline and city lights. Just when you thought you’ve had enough of this bustling megalopolis, Jakarta’s Old Town surprises you with a trip back into the past with old colonial buildings that has been transformed into hip museums and cafes. If you need a break from the city, we recommend going island hopping in the Thousand Islands, just a short 30 minutes boat ride from Jakarta’s port. You can also fly in to Jakarta before connecting to Garuda Indonesia flights to other domestic destinations within Indonesia. How much are flights to Indonesia? Depending on your origin city, flights to Indonesia start from only INR 6,526 for a one way journey. To ensure that you get the best flight deals to Indonesia, you can use Skyscanner’s cheapest month view to see the best time to go on your trip. You can also use Skyscanner’s Price Chart on the app to see what dates in a particular month has the lowest flight fares. Once you’ve found your ideal flight, subscribe to our Price Alerts to be notified as soon as the price on your flight drops, so you can book your flight tickets at the best time! Still unsure of when to go? We’ve got that sorted out! According to our data, the cheapest month to travel to Bali is March-April, whereas the cheapest flights to Jakarta is around September. To score the cheapest fares to Bali, book your flights 7 weeks before your intended departure date. 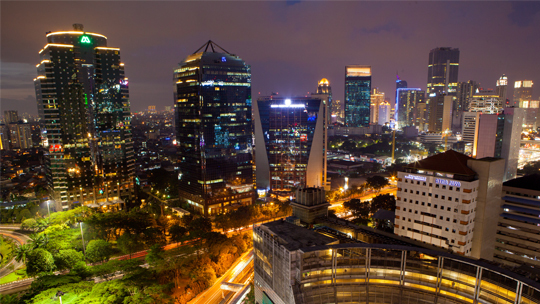 If you’re headed to Jakarta, book your flights 5 weeks before your departure date instead. As one of the upcoming trending destinations for Indian tourists, Indonesia has a lot to offer beyond the stunning beaches and delicious food. You won’t want to miss the multicultural experience this archipelago has to offer! Indonesia is currently visa-free for Indians, as long as your visit is less than 30 days. Once you arrive in Indonesia, the immigration counter will give you a Visa Exemption stamp on your passport, as long as your passport is valid for at least six months from the arrival date. To get started on planning your epic holiday, look out for the cheapest flight deals to Indonesia using the Skyscanner app. Make sure you also check out our Wonderful Indonesia hub page to discover more about why Indonesia should be top of your bucket list. *Published 5th March 2019. Any prices are lowest estimated prices only at the time of publication and are subject to change and/or availability. Always check the terms and conditions applicable to get up to date information.